Need help? Click the question [?] box at the top of any page. Type a keyword in the box and click the search button. Narrow your search using the Advanced Search when needed. Browse the catalog using the navigation menu directly below the search function. Trying to quickly find the right topic on a long page? Use the set of links at the top of the page to go directly to the content you seek. Done? Click the arrow icon on the bottom right to return to the top of the page. Did you know you can add the mobile-friendly UMary Catalog to your smart phone’s home page, just like an app? Open Chrome and go to catalog.umary.edu (hint, if you’re reading this, you’re already on the right page). Once there, click on the vertical elipse in the top right corner of your browser to open the options menu. From here, just click “Add to Home screen.” It’ll ask you to give your new link a name. 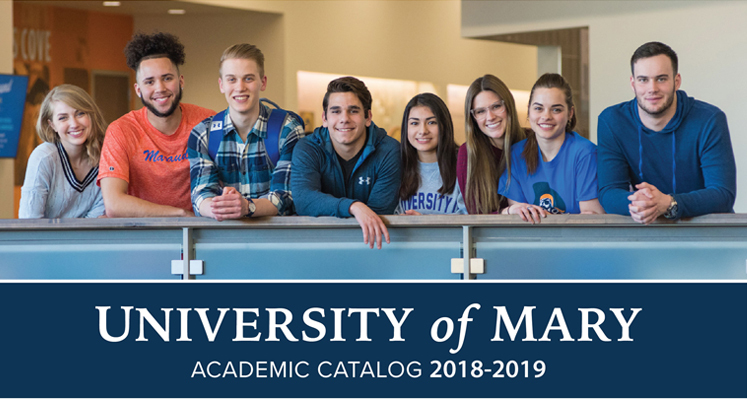 We recommend renaming it “UMary Catalog,” but you don’t have to edit the name if you don’t wish to. Open Safari and go to catalog.umary.edu (hint, if you’re reading this, you’re already on the right page). Once there, tap the Share button, then tap “Add to Home Screen.” It’ll ask you to give your new link a name. We recommend renaming it “UMary Catalog,” but you don’t have to edit the name if you don’t wish to. And that’s it! Now you can launch the catalog from your phone with one tap at any time! 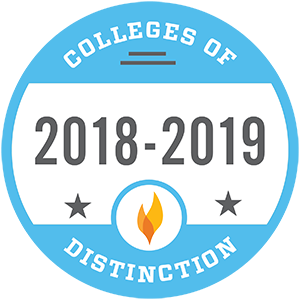 Are you looking at multiple programs, trying to pick a new major or minor? Or are you looking through a list of electives, and want to compare course descriptions quickly? Saving a specific page is easy using My Courses! While on any page you want to save, click the star icon found on the top right of the page you’re viewing. The page will be saved to your My Courses list (think of this like a favorites list, or even a shopping cart). When you want to quickly access content you’ve saved, just come to the catalog and click the My Courses link at the bottom of the navigation menu. All of your starred content will be there waiting for you! Note that this relies on your device IP address to identify you each time. So, if you switch to a different computer or from your phone to a computer, your starred content won’t be able to follow you. Because of this, we recommend using My Courses when using your personal devices and not on a public or borrowed device. If you identify an error in the catalog, such as a misspelling or a broken link, please let us know! Email us at registrar@umary.edu and we’ll be happy to correct the problem.